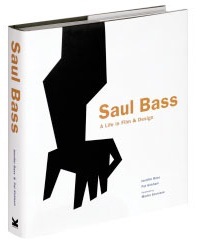 In honor of the newish highbrow artsy movie book, Saul Bass: A Life in Film & Design (written by Pat Kirkham and his daughter, Jennifer Bass, no less) — here’s a smashing tribute video of Bass’s work done by Ian Albinson of the always inspiring/excellent Art of the Title. This entry was posted in 1950s posters, 1960s posters, Artists & Illustrators, Movie Poster Books, Pop Culture and tagged artofthetitle, ian albinson, jennifer bass, movie posters, Saul Bass, saul bass a life in film & design, title sequences by russ. Bookmark the permalink.